Submitted by Alexander Briones on Nov. 5, 2018. First published on June 30, 2016. and last updated on November 6, 2018. 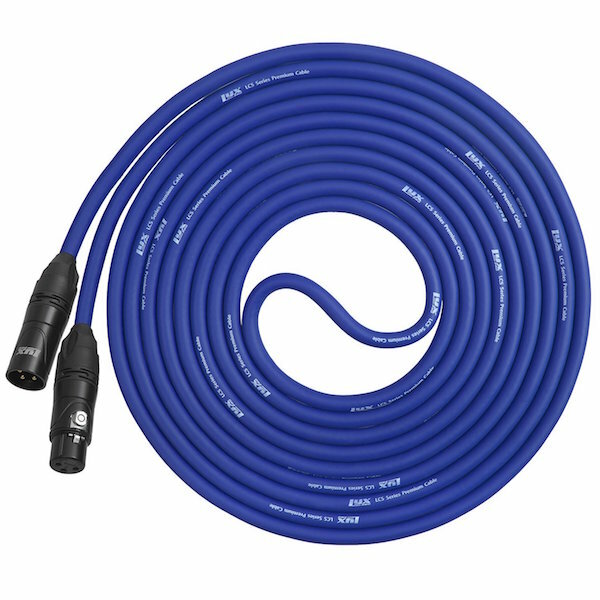 Balanced XLR Cables are industry standard cables used to connect microphones and other balanced output music gear into mixing consoles. They carry audio signals and shield them from interference. As such, there's no point in having great mics when your XLR cable is giving you noise, ground and other problems. Here we present you with what the market considers as the best XLR cables, based on the most recent ratings and reviews up to November of 2018. This update introduces a very affordable market favorite, the AmazonBasics XLR to our recommended list. Note that this guide is focused on XLR cables that work with mic or line level signals - these cables are not suitable for carrying high power signals from amplifiers to speakers. Here are the best rated XLR cables on the market today, covering cables that work well for stage performance and studio use. 92 out of 100. Incorporating 650+ ratings and reviews. Cheap XLR cables are not well known for their quality, but there are some hidden gems like the AmazonBasics XLR which is getting high ratings. As the name implies, this is a basic XLR cable, with an all-copper conductor and inner copper spiral shielding, but it does stand out from the rest with its good build quality, as the many positive reviews attest to. Value for money is obviously the strong point of this cable, and it continues to satisfy, if not exceed, the expectations of users. The overall sentiment is that it gets the job done properly, without needing to spend too much money, especially when used in fixed PA system setups. The flexibility of the cable also gets a lot of appreciation from sound technicians. There are a few who report build quality inconsistencies, specifically of the plugs. Some caution against using this cable in mobile setups, they feel that it can't handle regular plugging and unplugging. Still, this is a great cable to have for those with limited budgets in fixed setups, it can also be a decent and affordable back up in case something goes wrong with your main cables. 94 out of 100. Incorporating 1000+ ratings and reviews. The GLS Audio MC25 provides reliable mic cabling at a very affordable price point. At 25' length, it has enough wire for use on most stages, while having minimal effect on the sound. It features 21 Gauge dual copper conductors that transmit the sound well enough for it to receive consistently good reviews. The conductor core is protected by thick and flexible exterior rubber jacket and shield, while strain relief is provided by its flexible rubber ends. All these features combine to make the MC25 a very practical choice for small venue productions. Musicians, event organizers, speakers and even video producers continue to write good reviews for the GLS Audio MC25. It is well received for its value for money and overall performance, with many specifying its quiet operation and clear signal as its biggest positive trait. There are a few who reported minor build quality inconsistencies, but it is an issue that can be relatively easy to correct. 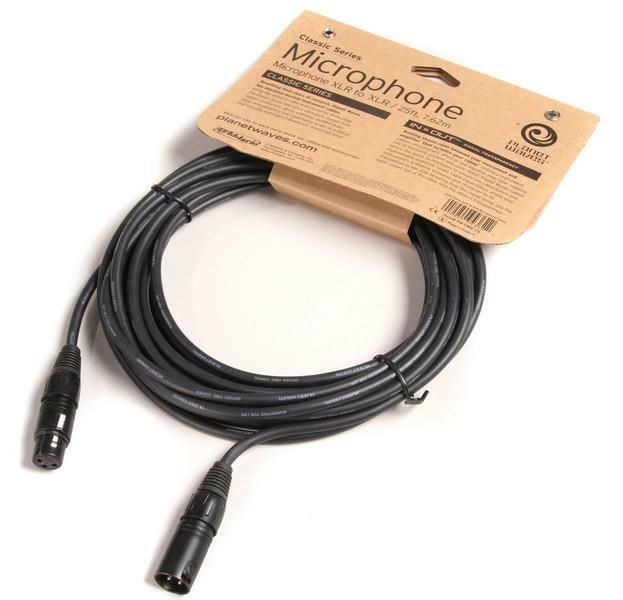 If you're on a tight budget and you're looking for a reliable stage microphone cable, then check out the GL Audio MC25. 94 out of 100. Incorporating 750+ ratings and reviews. With its 98% braided shield, twin PVC inner shields and cotton yarn wrap, this reasonably priced cable has everything going for it in terms of specs, and its popularity in the market reflects it nicely. Even without the big name branding that other cables enjoy, the LyxPro LCS Premium cables continue to accumulate high ratings and positive reviews, a testament to their quality and value for money. From small bars, to churches and big auditoriums, the LyxPro LCS Premium has been proven to be stage-worthy by many users. They are particularly happy with how sturdy and reliable the cable is. Other users have also put this cable to good use in studio recording, and have been impressed with its sound quality. Some have even used it for recording video and other modern applications like Podcasting. Market approval for this XLR cable is still high, thanks to its value for money. There aren't that many complaints about the quality and reliability, still there are some who gave the cable a slightly lower score because they want to use the cable longer first before updating their reviews - and unfortunately, many of them either forget or neglect to actually follow up. There was one reviewer who complained about some noise in a studio setting when bending the cable at a sharper 90 degree angle, but this can be avoided by proper planning and cable layout. For the price and the specs, this XLR cable is simply a steal and is a true professional quality gear that will not disappoint. Highly recommended for live performance situations. Planet Waves was acquired by popular guitar accessories manufacturer D'Addario, and it became their entry point into the cable market. This sub brand now carries an extensive line of cables designed for specific purposes, and the Classic Series XLR cable is just one of them, especially designed for microphone use. 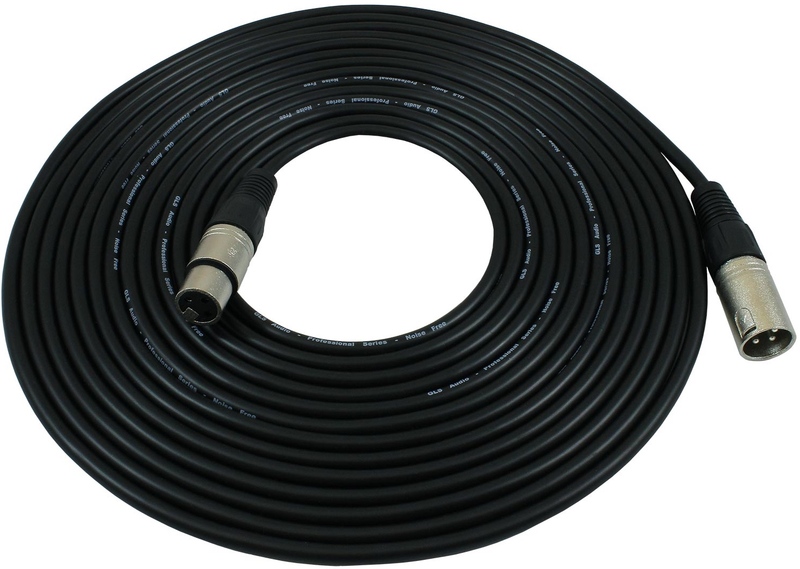 This XLR cable makes it to this list with its reliable operation, carrying over the same qualities that made Planet Waves instrument cables popular among musicians. Reviews consistently mention that the Classic Series XLR cable is built well. The general consensus is that the cable works nicely, and in a variety of scenarios, including stage and recording. Value for money is still the most praised trait of this cable, which when coupled with its worldwide availability makes this a strong competitor in the affordable XLR cable market. There were a few who gave the cable a slightly lower rating without much explanation, so we can't really pinpoint any particular complaint. If you're looking for a reliable bargain cable that will not change your sound, and comes with big brand backing, then you should consider the Planet Waves Classic Series XLR cable. 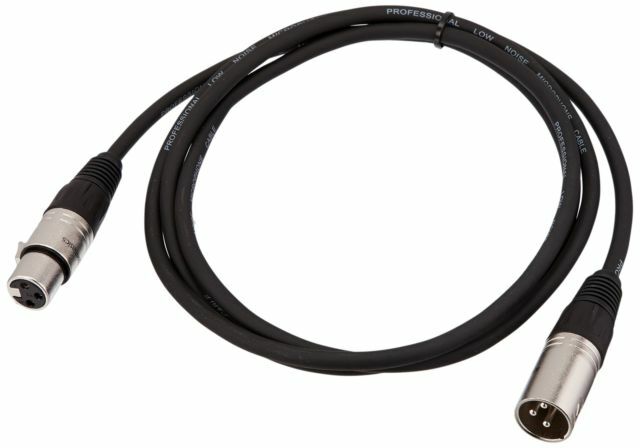 Hosa this spot in our recommended list with their Pro Microphone Cable line, with its silver-plated Neutrik REAN connectors and thicker conductors. As the name implies, this one is meant for professional use, specifically for the studio with its improved signal transfer thanks to its thicker 20 AWG OF core. But what really makes it stand out is its tempting price, which Hosa was able to maintain despite the specs. The majority agree that this XLR cable works very well as intended, with some even comparing it to more expensive alternatives. The cable's toughness and durability continue to receive recommendations from musicians, engineers and owners of recording studios. Finally, all of these positive traits are complemented by the Hosa Pro's low price point, which gives you great value for your money. Its unfortunate that some users complained about the cable being stiff, when this is something that should be expected, given that it has a thicker core. This is the reason why cables with thicker cores are better used on fixed installations, because they are harder to roll and unroll, and tend to pose problems when doing quick setups. If you're looking for an affordable studio friendly balanced XLR cable, then the Hosa Pro is your best bet. 97 out of 100. Incorporating 40+ ratings and reviews. RoadHOG describes these cables as a tough and road worthy XLR cables, and it doesn't look like they are bluffing because there are many reports from users who are impressed with overall performance. It features a pure copper conductor that is wrapped in copper serve shield that covers around 95% of the wire, and protected by a matte finish PVC material that's durable and flexible. At 30', this cable is quite long for small stages, but since it does come in a variety of size configurations, you can just get one that fits your requirements. Finally it utilizes Neutrik plugs to ensure longevity and consistency. While it doesn't have fancy materials, the RoadHOG XLR cable gets the job done remarkably well. This is reflected by the many high ratings that it continues to receive, from musicians and sound engineers who love its balance of sound, durability and practicality. A lot of users noted how easy it is to roll up, which is surprising for a cable with a very tough exterior. While many users are happy with the cable's thicker profile, there are a few who were not too thrilled with its bulk and weight. If you're looking for a durable cable that can handle the rigors of constant setup and breakdowns, then the Rapco RoadHOG XLR is for you. Mogami started out in a small workshop in Tokyo, Japan. They made a name for themselves back in 1977, thanks to audiophiles who were impressed with the quality of their cables, and helped spread the word. These days, Mogami have grown to be a worldwide provider of premium "Hi-Fi" cables (with the help of Marshall Electronics), and the Gold Studio XLR is one of their top products. As the name suggests, this is designed to be as transparent as possible for studio recording purposes. Neglex oxygen free copper cable. The majority of reviewers are impressed with this cable's consistent and quiet operation, some of them go so far as to claim that it actually "improved" their sound. Other positive comments on this cable pertain to its durability and heavy insulation. Many consider it as the gold standard for microphone cables, with its zero noise operation and high signal transfer fidelity. Speaking of insulation, some users nit-picked on the cable being a bit on the heavy side, and that because of its bulky jacket and shielding design. Some complained that it takes more effort to get the cable rolled up. However, being an XLR cable designed specifically for studio use, flexibility is expected to be limited since the cable has to be heavily shielded. It would also be nice if the cable were a-bit more affordable, but I guess the higher price point is expected from this particular brand. If you have the budget and you're looking to wire up your home studio with a branded cable of reliable quality, then this will be a worthy investment. The Mogami Gold Stage XLR cable balances sound quality with reliability and mobility, resulting in a studio grade cable that's tour ready. As expected, the company does not spare any expense to ensure the quality of their cables, utilizing premium 105 copper cores that have three times more strands than the competition. This stranding design improves the flexibility and reliability of the conductor, complementing its full-coversage braided shield and virtually indestructible XLPE (Cross-Linked Polyethylene) insulation. With all these features, the company have put a premium price tag on this cable, so expect to invest more for it. 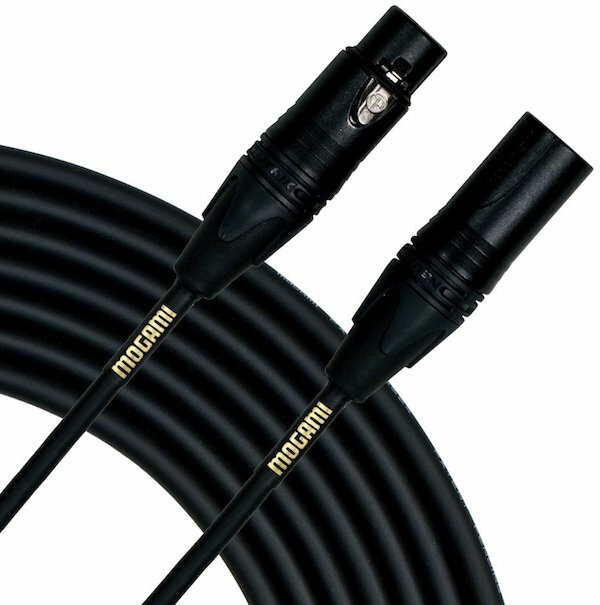 As proof of its reliability, many reviewers report that they've been using their Mogami Gold Stage cables for years without any issue. This is also a testimony to its overall value, when compared to cheaper cables that have to be repaired or replaced more often. Sound fidelity is also commended, especially by users who have upgraded from other brands, some even went so far as to replace all their cabling with Mogami branded cables. The most common complaint for this cable is its price, but those that are willing to invest have nothing but good things to say about it. 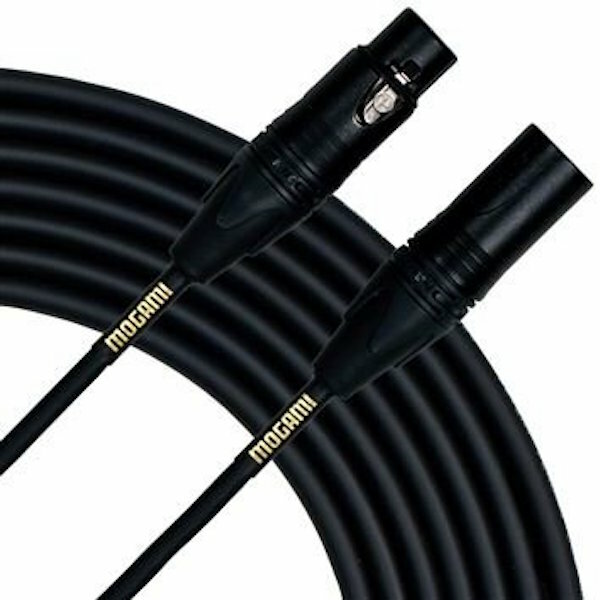 If you're looking for a high quality cable that can take the usual punishments of road use, then save up for the Mogami Gold Stage XLR cable. Some audiophiles will tell you that they can hear the difference between different leads and this is often used by some companies to sell extremely expensive leads. When it comes to Balanced XLR cables the consensus of audio engineering professionals and actual measurement is clear - there isn't any audible difference between properly functioning balanced XLR cables in normal conditions. Still, in situations where there is significant radio frequency interference, cables with less effective shielding will be more susceptible to picking up those signals. Of course a cable that's damaged can experience glitches, noise or not work at all. So the main issue to avoid problems with sound quality is to buy balanced cables that are durable, reliable and ideally have good shielding. 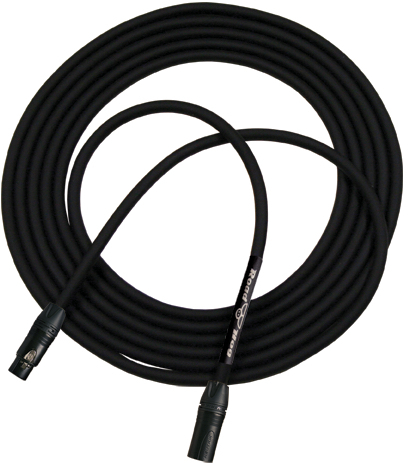 XLR cables that will be used on stage have to be durable enough to handle movement and being stepped on. On the flip side, since you're not moving around as much in the studio, flexibility and durability may not be as important. Getting a cable with the right length is important, obviously you don't want anything shorter than what you actually need and remember this can include running the cables around various obstacles . But there can be some reasons for not getting a cable too much longer than you'll use. Properly operating balanced cables can operate without any audible signal loss over 100 feet and more so that isn't much of a factor. However, having surplus cable lying around in the wrong places can be messy and increase the chances that it will be damaged or get tangled up with other cables. Recording, rehearsal or performance setups can quickly become disorganized so consider what you'll do with that extra cable length. Note that we went with the cable lengths that are more popular with users, which incidentally ranges from 15 to 30 feet. Core thicknesses range from 20 to 26 AWG (American Wire Gauge), with 20 being the thickest. Thicker cables allow for better signal transfer and are preferred for studio applications, while thinner ones are preferred for stage use because of their flexibility. While some audiophiles will insist Oxygen Free Copper (OFC) provides the best signal transfer, the consensus from pro audio techs is that it doesn't make any difference. Shielding protects your audio signal from interference, and there are currently three types of materials used: Aluminum laminate (foil), Tin Plated Copper and Copper. The shielding itself is connected to the third pin of the XLR, which directs the intercepted interference to ground. Spiral copper shielding is preferred for stage use because of its 97% coverage and flexibility. Just note that gaps can open up when the cable is flexed too much. For this reason, some cables come with multi-spiral shielding that protects each cable core. Braided Tin Copper shielding is preferred in studio settings because of its higher 98% coverage, oxidation protection, and improved conductivity. Foil shield is commonly used on generic, cheap cables, because it provides effective interference protection without jacking up the price tag. Just note that it can be damaged when the cable is bent. For best results, some manufacturers combine different types of shielding. In this particular aspect, the saying you get what you pay for holds true. It may seem like you're saving a few bucks by going for a cheap generic XLR cable, but in the long run, you may end up spending more - and not to mention have problems at the worst possible times - like during a live performance! Having played a vital role in improving the XLR connector design, Neutrik continues to be one of the most trusted brands when it comes to connectors, but they do come with a more premium price tag. Having a Gold connector has a nice ring to it, but it's not really a better conductor, rather the gold plating just makes the pins last longer. We looked at the most popular balanced XLR cables being sold at online retailers, and picked the ones that stood out in terms of ratings, popularity and recommendations. We ended up with 18 XLR cables short-listed, along with over 4,200 relevant reviews and ratings, all of which were processed via the Gearank algorithm. This gave us the scores out of 100 that we used to pick out only the most deserving. Note that the list has been updated in November 2018, to reflect current market sentiment. Incidentally, we ended up with cables that are between 15' to 30' long, but all of the cables in this list are available in different lengths, and that the scores mostly reflect the combined ratings for all their length variations. For more information about this process, see How Gearank Works. Submitted by Samuel Abraham (not verified) on Apr. 21, 2017. Hi there. I have some questions to ask and need some advice as well. I've been following almost all your reviews, taking down the list of equipments I need to buy for our church PA system. I've been able to clear up most doubts that I had before. I would like to ask this: I need to get an effect processor seeing that our mixing console just has the normal knobs(EQ- Treble, Alto, Tenor & Bass) for tweaking the sound on each channel. I think I need something that could really give some real effect (Reverb, Chorus, Delay & Compression) to the whole output sound of the system. Q2: I just read your review on XLR cables. I would want to know your idea on Jack/XLR cables i.e one end jack the other XLR (I'm not sure if they called that way, but I know you to get my point) our console has 3 main XLR output for main speakers so the others I will have to connect them through a Jack (ex: monitor speakers) and the cables have to run some distance. So I would like to get some help or suggestion. I may send in more questions going forward seeing we are wanting to revamp our PA system for better quality and sound. Thanks for all the reviews you guys have written they've really helped me so far. Submitted by Alexander Briones on Jun. 28, 2017. Hello Samuel, as much as I'd love to help you out, we don’t have data on rackmount effects yet. I'll get back to you when we can make recommendations. 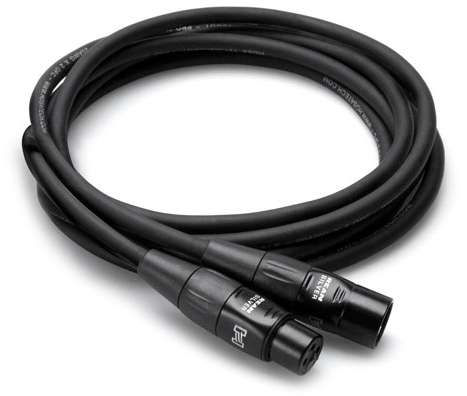 As for the Jack to XLR cable question, you may want to clarify first what the other end would be, is it a 1/4" or a female XLR jack connector? In any case, many of the brands that are featured in this list should have the one that you need. Submitted by Dax (not verified) on Jun. 27, 2017. Hi Alexander, thank you very much for all your research into this. I really appreciate it. I do have one question for you, I'm looking to make my own xlr cables and I'm curious if you recommend a certain brand that I can buy the cable in 300, 500 ft spool. Since we don't have data on long XLR cable spools, I can't make specific recommendations. However, I can suggest that you look at the XLR spools from the companies included in this list. Submitted by Taylor (not verified) on Jul. 7, 2017. I'm curious did you ever rate Grimm TPR cable? Grimm Audio's 'TPR assembly' range isn't widely available in North America yet so we didn't rate them for this guide. Submitted by Mike Nov (not verified) on Jul. 24, 2017. Have you reviewed the Reverb brand cables yet? Very Curious about these. Submitted by Jason Horton on Jul. 24, 2017. None of Reverb.com's house branded products have been short-listed when we've been surveying product categories for our guides, as a result we have not published any Gearank scores or meta-reviews about them yet. Submitted by Jason Horton on Oct. 8, 2017. Submitted by Jeemy (not verified) on Mar. 3, 2018.
have you reviewed Pig Hog cables? Submitted by Victor (not verified) on Mar. 13, 2018. I've got a question. New to the pro audio scene. I'm looking for a long 50' cable going from a mixer (Tascam DP24) to a powered monitor (SRM 550 speaker). The output from the mixer is a 1/4" phono jack and the speaker has a combo XLR/Phono Jack. So, my question is: Will I get a finer, brighter audio from an XLR to Phono cable than a straight 1/4 to 1/4 TRS cable? The type of connector won't directly influence the frequencies carried, however if you are talking about choosing between a standard RCA connector, which is unbalanced, verse a balanced XLR or TRS connector then you'll get less noise interference by going balanced - I would chose the 1/4 to 1/4" TRS because that's a balanced signal. Submitted by John Foytek (not verified) on Apr. 6, 2018. Submitted by Bill Javens (not verified) on May. 10, 2018. As a result of the November 2018 update to this guide, the following cable came off the recommended list above: ProCo StageMaster.